Enova Mentors through Perspectives Charter Schools Internship - Enova International, Inc. I often think of the mentors I’ve been fortunate to learn from and am overwhelmed with gratitude for the time they invested in me to pursue a meaningful life. Their encouragement, support, and valuable lessons have guided me to where I am today. I have always wanted to instill the hope for a bright future in others, just as my mentors did for me. Enova has given me that opportunity to serve as a professional role model through our partnership with Perspectives Charter Schools. Perspectives Charter Schools manages five open enrollment, tuition-free public schools for students in grades 6-12. The students complete a rigorous college-prep curriculum and live by the 26 principles of A Disciplined Life, which focus on self-perception, relationships, and productivity. Additionally, the school offers a 5-week internship program for students of junior standing to explore different companies and career opportunities in Chicago. Ceci Fischer-Benitez, Enova’s Tech Learning Coordinator, presented this internship to me and we were ecstatic about the chance to mentor two students and build a new program at Enova! We defined a list of goals to shape the program before the interns arrived in November. As their professional mentors, we strived to design a curriculum that would inspire them to work toward higher academic achievement and encourage STEAM education. With our goals in mind, we organized a rotation program that focused on career exposure and professional development. From Software Engineering to Analytics, to Creative and Finance, the students met with 15+ Enova employees to explore potential career paths. They completed hands-on activities and workshops, engaged in presentations and 1 on 1 conversations with leadership, and even contributed to a project for one of our teams! College prep, job interview etiquette, professional presence, and project management are only a few of the topics discussed to help lay the foundation for a successful future. With such a significant amount of material to cover in 5 short weeks, the interns also had free time to recharge and stay motivated. They had a blast playing foosball and ping pong in our game room, and enjoyed the perks of our fully stocked kitchen! They also spent time giving back to our community by writing holiday cards for children in need. On their last day of the internship, they conducted a final presentation and took a room full of employees through their journey with us. 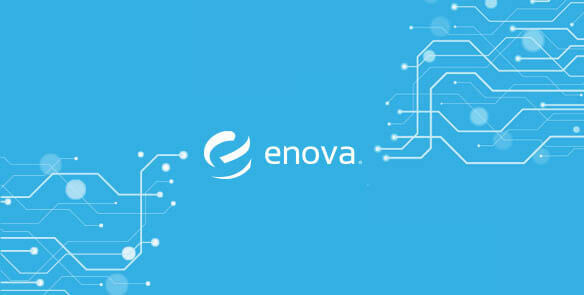 They left Enova with more excitement and confidence in what the future holds for them. They expressed interest in tech careers that they did not know existed prior to the internship, and they are now aware of local resources they can utilize to further explore these areas and enhance their skills. It was an honor to mentor these students. They were truly inspiring, optimistic, kind and driven. They made great strides in just 5 weeks, so I cannot wait to see all they have yet to accomplish in college and beyond. Enova’s commitment to community outreach positively impacts the lives of others, and I am lucky to be a part of that.